Ergobaby 360 and Lillebaby are two of the market's best online brand of child carriers. Both the two baby carriers have a lot of excellent features to place on the table. Also, they have a pricing margin that does not vary so much from each other. This strange similarity between Ergo 360 and Lillebaby could sometimes make it hard for you to choose between the two baby carriers. In this edition, we assessed a few features and contrasted them with each other to come up with an unbiased guide that could help you to choose the best child carrier for your baby. Let’s Face It: Is It Ergo 360 Or Lillebaby? (*) Below, you'll find my detailed review, but you can also click the links above to see prices and read customer opinions. There is no doubt that different parents do have different preferences when choosing a baby carrier. The common factors in the list could vary from the cost, flexibility, the overall comfort of the carrier among many other considerations. But when comparing between Ergo 360 and Lillebaby child carriers, we had to dig deeper and extract some factual findings from other parents that could influence the ranking of one of the carriers that will be viewed to be a better performer to the other. These additional factors we included were like the carrier design, comfort, as well as longevity. Ergo 360 is the baby carrier that is compatible with all creative positions of carrying your baby. Look, are you on the move to the mall for a few groceries? Well, just let the baby sleep while facing forward on mama’s back. Are you out for a little stroll with your husband into the woods? No problem; keep the baby facing forward, and it will be all well. I mean, Ergo 360 offers up to four standard ways of carrying your baby. And that’s what I am talking about. Also, Ergo 360 offers some wide variety of carriers from which you can choose. For instance, during the early months of your kid’s life, it could be wise to let your baby rest while facing your body. As the infant gets to be more alert and curious, you can place him/her facing forward or on the hip for the baby to admire the surroundings. When you plan to baby-wear for an extended period, the back and front and back baby carriers could provide comfortable support and freedom you require. 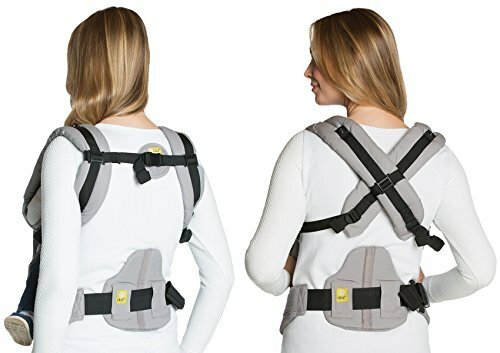 Ergo 360 carriers have also padded shoulder straps and waistband that enables you to carry your baby anywhere without any form of discomfort. 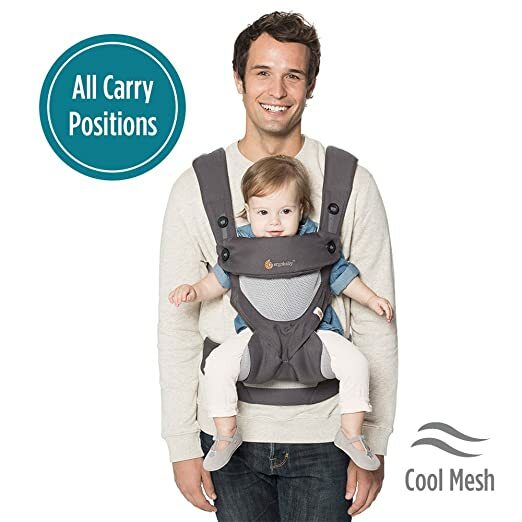 The carrier is both appropriate for both male and female parent carriers. So, in case your husband wants to help you with carrying the baby, then consider going the Ergo way. This carrier is reputable for both comfort and pleasure. The Ergo 360 carrier has a full wrap that is wrapped on to the waist. This wrapper is responsible for supporting the lower back when someone wears the baby. Thanks to this craftily designed wrapper, one can carry the baby over long duration without experiencing the normal strains on their backs which are associated with carrying a baby. Another notable feature is the tuck away hood that protects an infant from direct sunlight. The carrier has adjustable shoulder straps that are made in an adjustable way to fit in different carrier sizes. If comfort is something to go by, then Ergo has got a reasonably good design to accommodate this feature. 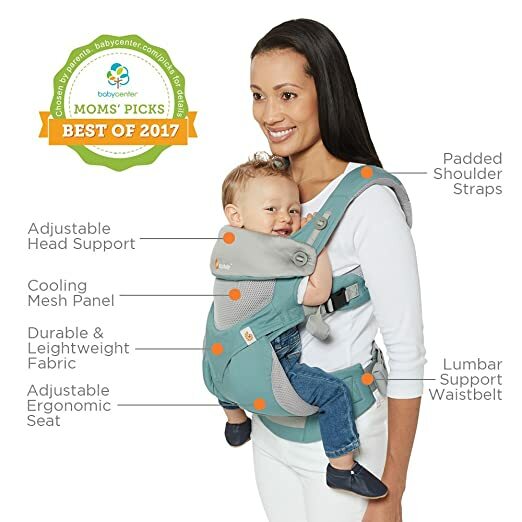 The straps, for instance, are made of some spongy material that doesn’t dig into your shoulders after carrying your baby for an extended period. Baby Carrying Positions: With this Ergo, one can wear the infant from either the front (on the belly) or the back. Depending on your preferences, you can let the child face the front inward/outward. At times, you can also let the baby rest on your hip while facing the front or back. As I said, anything that works for you and your child would do just fine. Ease of Washing Ergo 360: This carrier is washable by machine-wash as it is made of cotton. Ergo-360 Carrying Capacity: Here the carrier can carry an infant of between 3 to 35 months of age. The weight limit is between 6kg and 15kg. Ergo-360 Pricing: the market price of this carrier varies from state to state. More carrier positions: The carrier allows the infant to be in four main positions. It also supports aligning the baby while as one wears the carrier. This is a plus for Ergo as it ensures that both the baby and the carrier are comfortable as much as possible. Also, when switching positions, it does not become hectic as it provides sufficient comfort. One-size-fit-all design: The carrier has an adjustable waistband and shoulder straps that you can easily switch on and off with the carrier with a few simple adjustments to fit anybody. Caters for infant carrying: Ergo 360 can be used as from birth. This feature allows one to be able to learn how to use the carrier over time. Ergo-360 allows you to nurse your baby without necessarily exposing your child discreetly. Hard to fasten: fastening of shoulder straps is somehow hard, and one has to get help from behind to strap it well enough. While strapping and unstrapping, the Velcro tends to make a lot of noise. The Ergo-360 lacks proper storage for any other thing besides the baby. It lacks pockets to keep the basic commodities that you would sometimes wish to carry alongside your baby like your keys or a wallet. It is also a bit costly for a baby carrier. The Ergo 360 carrying packs are way better than regular baby carriers. They have wide seat spaces that make them comfortable for infants. Their seat parts can be adjustable beneath the flaps to enable forward facing of an infant. This feature enables the baby not to do splits. This carrier is also impressive as it is durable. In that, it does not wear out quickly and it can comfortably serve all your children while they are young. If you can deal with the issue of fastening the straps and the noise from the Velcro, then I am certain that this could be a great baby carrier for you. The Lillebaby carrier is both a work of art and a mastery of performance. It boasts of having some features in a single carrier. The carrier can cradle an infant safely as from birth to about 45 months. Lillebaby also supports six different carrying positions. At the moment, the most convenient sitting position available for the kids is the “M” shape. Now, you should take note: forward facing is not recommended before a baby attains five months. It is only after five months that a baby has good head control of his/her head. Because of this fact, it is advisable not to carry a young infant while facing forward. While a baby is below five months, carrying such a child on the hip could prove healthier than carrying from the belly. A proper sitting posture when carrying the baby enables adequate growth of your child in return. With this in mind, Lillebaby carriers that support the neck and lumbar of the baby are very recommendable. Because with these standard support extensions within the carrier, you will not need extra newborn inserts to secure your newborn when carrying him/her. This act adds comfort to newborn babies that most baby carriers lack. Also, the lumbar support added to the Lillebaby carrier is quite amazing. The feature enables the baby weight to be distributed evenly for the comfort of the baby and the carrier. It also allows you to fasten the closeness of the baby to your body allowing less stress on the hips. 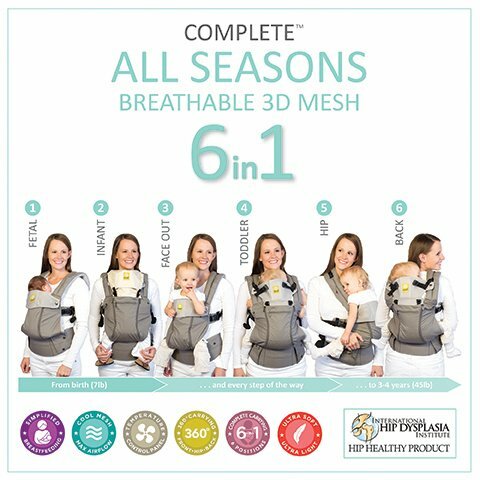 Baby Carrying Positions: the carrier can be worn in six different areas that are comfortable for both the baby and the person carrying the baby. 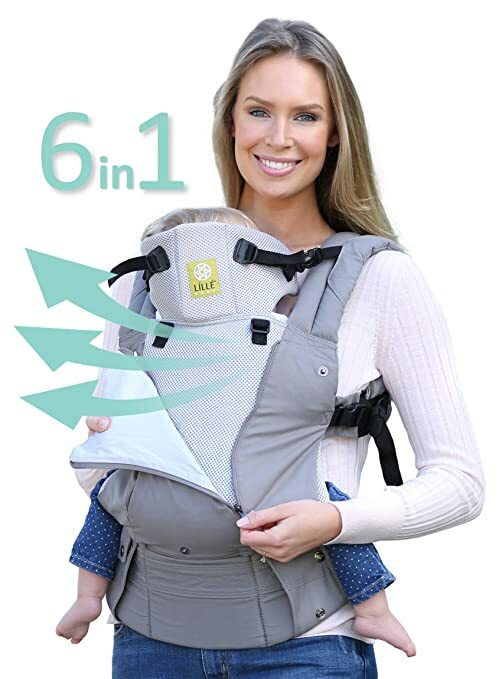 One can wear the carrier in a fetal position with the baby facing the chest (for newborns). This position allows the baby legs to dangle from the side openings, facing out point, on your hip, back and in the infant spot. Washing: The carrier is washed on a washing machine as it is made out of strong cotton fabric. The carrier contains no amount of lead. Carrying Capacity: The carrier can accommodate up to 25kgs and babies of up to 3 years. This feature makes Lillebaby look better and stronger when compared to Ergo 360. Designed to regulate temperature on weather changes: The Lillebaby comes in options that include Airflow and All Seasons. It has a mesh to permit more air flow, hence enhancing comfort in warm weather. Requires no inserts: You got me right. Lillebaby requires no inserts to carry the baby even from birth. This aspect is because it accommodates infants as of the weight of 3kg. The carrier straps are lengthy and originate from the padding all the way to the webbing cut into one's armpit. Additionally, the carrier has extra bits of padding under the buckles including the chest clip for extra comfort. The carrier can fit the infant as from birth. The Lillebaby carrier has lumbar support which is an added feature responsible for lowering any added lower pains on the back. The feature enables you to use the carrier even as the baby grows big. Have several attractive exterior designs e.g. most of the modern carrier from Lillebaby comes in funny Tokidoki prints. The added feature of the carrier possessing cushioned leg openings keeps the baby's legs comfortable and in an appropriate position. The Lillebaby has more positions in which one can carry the baby and still feel comfortable. Using the carrier for the first time is hard. Though the carrier is incredible, it is a bit difficult to adjust to using when encountering it for the very first time. The carrier has shown to be quite inappropriate for tall individuals as some of its releases have shorter padding. The Lillebaby is entirely an excellent kind of carrier when it comes to comfort. One can carry it for long periods without feeling any serious strain like is often associated with carrying infants for long hours. The carrier also supports the carrying of a baby by the neck. Unlike the Ergo 360, Lillebaby is fitted with pockets that can be used while out on a trip with an infant. 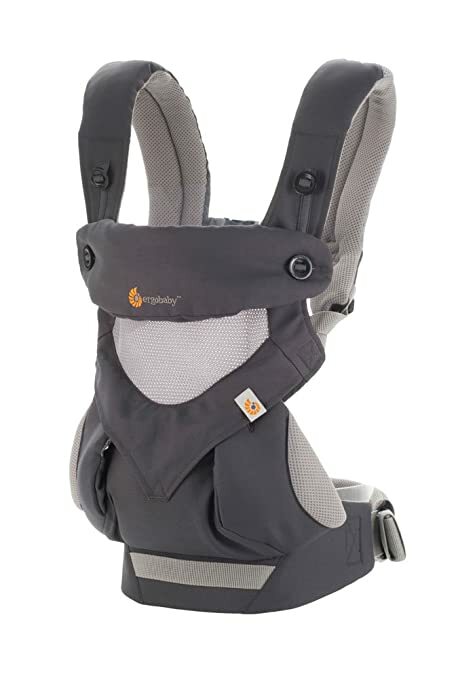 Though useful, I wouldn’t recommend Ergo 360 over Lillebaby when one goes out hiking. The lumbar support feature of Lillebaby is a notably awesome advancement. By adjusting the straps, you can get the baby fitted or adjusted while still carrying him/her. Also, because of the design and the ability to regulate temperature, you can use it within the house and outdoor. Lastly, the side pockets added to the carrier can accommodate specific accompaniments that are necessary when carrying a baby. For instance, you can use the pockets to keep your keys, phone (though not very commendable), wallet, and any other thing you might deem necessary. In some situations, people do consider the cost of the two carriers when deciding the carrier to take home with them. But when assessing the pricing of these two popular baby carriers, one cannot distinctly spot any notable price variation that might make one have precedence over the other based on pricing alone. Then again, when considering the number of online purchases, the Lillebaby seems to be the market’s favorite as it leads in the number of sales and comfort rating. Also, Lillebaby’s changeability and durability make the carrier stand out from the most other carriers. The Lillebaby carrier is also a reasonably trusted brand since it provides some well-thought-out provision for both the parent and the baby. The carrier is reputable for the side-pocket feature that allows carriers to pocket a few necessities just close to the baby. ​Going by the current market prices, Ergo 360 seems to be a bit costly than Lillebaby. Now, while pricing could be a very crucial feature to consider when buying new stuff, sometimes it isn't the best feature to consider; more so, when choosing what is best for your baby. However, should you have a very fixed budget, you can check out the Lillebaby as it is cheaper. ​Now, both carriers are currently rated highly in the market’s listing of baby carriers. This fact means they both offer comfort and security that is way above the ordinary carriers. But upon a closer examination, it is almost certain that Lillebaby has a higher safety rating as compared to Ergo 360. The fact that Lillebaby does accommodate kids of different ages and offers support for the kid's neck as well as protection from sunlight (when necessary) makes it seem a little bit better. Also, both the two carriers seem to offer accommodation to babies under in different positions. Even then, Lillebaby can still be argued to be better as it supports two extra positions over Ergo 360. ​Both Ergo 360 and Lillebaby do not require an infant insert for infants. Lillebaby holds the newborn at 3kg up to the weight of 23kg. Ergo-360, on the other hand, carries newborns to the weighing of about 17kg. Comparing these two makes Lillebaby better compared to Ergo 360 as it can allow an extra 6kgs. The Lillebaby carrier’s packaging is also quite attractive with the rubber handle and the seats looking alike. 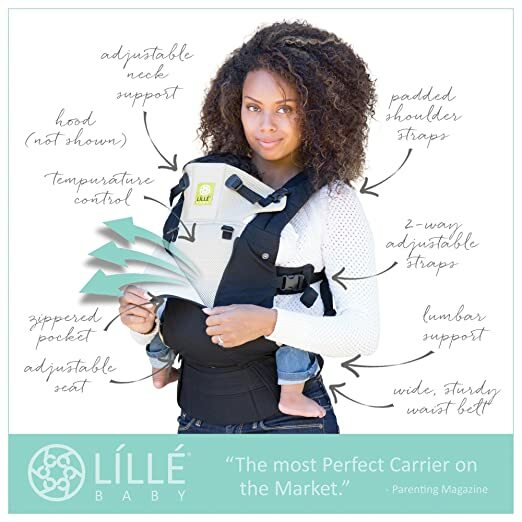 ​Lillebaby carrier is somehow complex to use for a complete beginner. Their instructions set are easy to comprehend and implement. The Ergo 360, on the other hand, is a lot easier to use right off the box. Wearing the Lillebaby off the box is easy than Ergo. However, because of the added features of Lillebaby, one might need a few moments of use before he/she can familiarize with the carrier. ​Both the two carriers seem to have a tie when it comes to the designs. On the first impression of Lillebaby, one will notice a beautiful pattern that is made of cotton. Ergo, on the other hand, presents a solid and a bit rugged color that is appealing depending on the clothes that one has on. 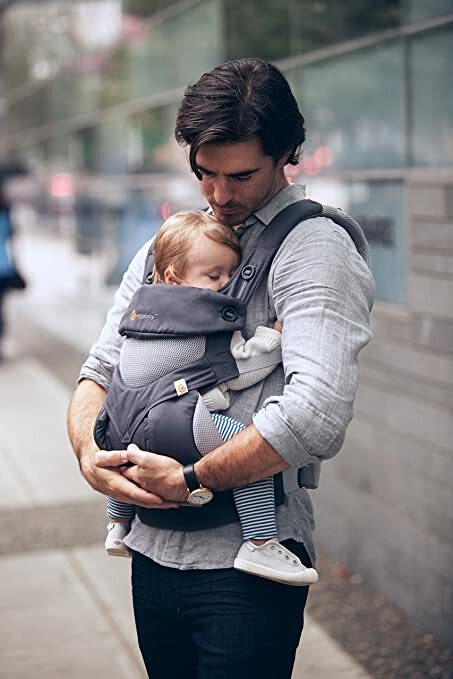 From the outlook, though they all look awesome, I find the Ergo 360 carrier’s design to be a little bit more appealing than the Lillebaby. Also, the Lillebaby carrier possesses a short shoulder blade clip with adjustments at any point of the carrier easy and enjoyable to make. This is opposed to the rigid straps of the Ergo 360 that might require help to fasten. The only issue I found with the Lillebaby’s design was the poorly placed sun shade that appears a little bit messy when extended. ​When it comes to durability, the Ergo 360 seems to be a little bit more durable than Lillebaby (from their looks). But when considering their use, it is as if Lillebaby does stay longer than Ergo. Then again, durability is not always guaranteed. I mean, the amount of time a carrier is likely to stay working will depend much on the care and amount of time a baby carrier is used. ​Both companies stand strong in support of their products. In both carriers, you are likely to be granted a warranty of a month to use and return when defective. Even so, I must say that Lillebaby has proven to have better online customer support over Ergo 360. 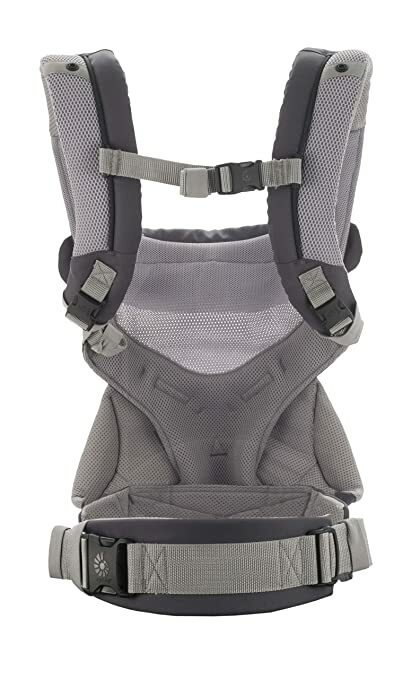 ​The carrier Ergo 360 needs an infant insert that is hot, bulky and generally heavy. On the other hand, Lillebaby can house babies as from 3kg without the need to have insertions. The customer service, Lillebaby stood out. Before I progress, I must acknowledge the fact that it was very hard to choose the best baby carrier between Ergobaby 360 and Lillebaby. These two baby carriers have stylish designs and both offer comfort that is above the average baby carriers. As a result of these facts, we opted to dig deeper and unearth finer aspects that we cold considered relevant to distinguish our winner. Based on some factors we have explored before, I am convinced that the Lillebaby is the current market's finest choice for baby carriers. It is lighter, cheaper, carries more weight and is more comfortable to use than Ergo 360. Lillebaby also has an allowance for your child’s aeration and hold your child’s neck steadily. This carrier also provides for custom designs and is always backed up by its sellers. Perhaps the only bone you will find with Lillebaby carrier is the carrier’s hard to understand manual when using it for the first time. If you can find a way through this, then you are not likely to regret purchasing Lillebaby.